Earn 5% cash back at different places each quarter like gas stations, grocery stores, restaurants or Amazon.com up to the quarterly maximum each time you activate. Plus, earn unlimited 1% cash back on all other purchases - automatically. 0% intro APR on purchases for 6 months, then the standard variable purchase APR of 14.99% - 23.99%. The Discover it® Student Cash Back (This card is not currently available on CardRatings) card has a lot to offer a young person trying to build their credit history and learn the ropes of using a rewards credit card at the same time. The card helps you get off to a strong start with a $0 annual fee and an introductory 0 percent APR on all purchases for the first six months (then, 14.99% - 23.99% Variable). As the name suggests, it's multiple cash-back opportunities that make Discover it® Student Cash Back a great addition to the wallet of any financially responsible young adult. You have the chance to earn 5 percent cash back in rotating categories on up to $1,500 in purchases each quarter you activate. Categories have included everything from gas stations and wholesale clubs to grocery stores, restaurants and even Amazon.com purchases. Plus, you’ll also earn 1 percent cash back on all other purchases and on the bonus category purchases once you’ve met the quarterly spending maximum. Here’s where this reward structure gets even better: As an introductory welcome bonus, Discover will MATCH, dollar-for-dollar, all the cash back you have accumulated during the course of your first year as a card member. This can easily add up to hundreds of dollars. Thank about it: If you max out the spending in the quarterly 5 percent categories, you’ll earn $75 cash back just on those purchases each quarter for a total of $300 cash back for the whole year. That means that with Discover’s match at the end of your first year you will have earned $600 cash back after your first year – and we haven’t even mentioned the 1 percent cash back you’ll be earning on all your other purchases that will also be matched after your first year. As an added kicker, Discover will give you a $20 statement credit for every year you earn a GPA of 3.0 or better for up to five years. An additional nice feature for Discover it® Student Cash Back cardholders is late-payment "forgiveness.” That means you won't be charged a fee the first time your payment is late, so you do have a bit of saving grace as you get used to the responsibility of having a credit card. But don’t make missing a payment a habit – after the first missed payment and forgiveness, the fee can be up to $37. Discover it® Student Cash Back offers tools to help you manage your credit, including free credit score updates with each statement, fraud monitoring and the ability to quickly turn your card "off" if you think it's been lost or stolen and then back "on" again if you find it. This card rewards good grades by offering students $20 statement credit each year your GPA is 3.0 or higher for up to five years. Additionally, you receive a 0 percent APR on purchases for six months from the time of account opening (then, 14.99% - 23.99% Variable). All the cash back you earn during your first year will be matched, dollar-for-dollar, by Discover. That means $200 in cash back is actually $400 in cash back after your first year. If you have relatively low student-loan debt, and an excellent credit score, you'll be able to find other credit cards with larger rewards. Check the Citi ThankYou® Preferred Card for College Students (This card is not currently available on CardRatings) as an option. Show us the money! We love the multiple ways you can earn cash-back bonuses with the Discover it® Student Cash Back card. There is 1 percent cash back on all purchases and a healthy 5 percent cash back on up to $1,500 in purchases in rotating categories each quarter you activate. Discover announced the full 2018 bonus calendar at the end of 2017; it includes the following: January-March 2018: gas stations and wholesale clubs; April-June 2018: grocery stores; July-September 2018: Restaurants; October-December: Amazon.com and wholesale clubs. 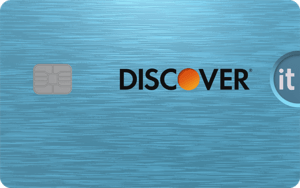 As if 5 percent cash back on certain purchases wasn’t impressive enough, Discover goes a step further and effectively offers you 10 percent back on those purchases during your first year thanks to the introductory match. Discover will match, dollar-for-dollar, all the cash back you earn during your first year. Speaking of the introductory offer, the 0 percent APR for the first six months (then, 14.99% - 23.99% Variable) can be a big savings and may prove especially helpful with out-of-pocket expenses at the start of a school year as you wait for financial aid payments to be processed. Discover it® Student Cash Back encourages you to keep up on your studies, rewarding you with a $20 statement credit every year you earn a GPA of 3.0 or better (for up to five years). And if all that studying results in you forgetting to make a payment, no worries. Discover it® Student Cash Back won't charge you a fee for your first late payment, and there is no penalty interest rate. To maximize your cash back rewards you need to keep track of the rotating categories, which change each quarter. Filling your gas tank on March 31, 2018, for example, would have earned you 5 percent cash back (assuming you hadn’t already met the quarterly spending cap), but waiting until April 1 would have earned you just 1 percent cash back on that fill up. As is the case with all student credit cards, getting the Discover it® Student Cash Back card is not as easy as it used to be. Discover no longer allows co-signers, so you are on your own with the application. And the federal government has tightened its regulations on marketing and issuing cards, particularly to students. Lastly, if you do a fair amount of traveling overseas or are planning to participate in a study abroad program, you'll want to have other options in your wallet. On the plus side, Discover it® Student Cash Back doesn't charge fees for foreign transactions but, on the down side, Discover cards are not as widely accepted internationally as a Visa or Mastercard is. Earn 5% cash back at different places each quarter like gas stations, grocery stores, restaurants or Amazon.com up to the quarterly maximum each time you activate. Plus, 1% unlimited cash back automatically on all other purchases. Discover it® Student chrome is best described as a scaled back, simplified version of the Discover it® Student Cash Back card. Rather than rotating quarterly rewards categories, Discover it® Student chrome offers a straight 2 percent cash back for gas and restaurants purchases, on up to $1,000 in purchases per quarter with no need to sign up each quarter to take advantage; you’ll also earn an unlimited 1 percent on all other purchases. 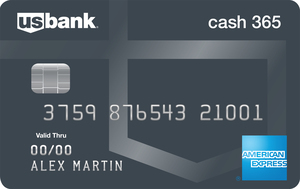 This type of cash-back card is called a tiered rewards card. Discover it® Student chrome does offer the end-of-the-first-year cash-back matching bonus, so you’ll enjoy a match of every dollar you’ve earned at the end of your first year. It also offers a $0 annual fee and the opportunity to earn the $20 "Good Grades Rewards" statement credit each year you earn a GPA of 3.0 or better (for up to five years). Overall, Discover it® Student chrome could be a better fit for the student who already has enough on their plate (and who could blame you?) and doesn’t want to keep up with rotating categories. Furthermore, if you know you spend the bulk of your money on restaurant and gas purchases, you’ll likely earn more cash back in the long run with Discover it® Student chrome. 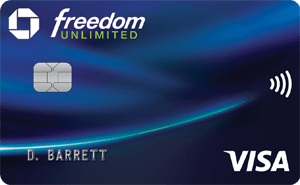 Both cards have $0 annual fee, charge no foreign transaction fees and offer cash-back rewards. But that's where the similarities end. The Journey® Student Rewards from Capital One® card offers a flat-rate 1 percent cash back on all your purchases; however, you can bump that earning up to 1.25 percent each month that you pay your bill on time for a maximum cash back opportunity. Discover it® Student Cash Back, of course, offers 5 percent cash back for certain purchase categories that rotate each quarter (on up to $1,500 in purchases per quarter each time you activate) and 1 percent on all other purchases, plus that match bonus at the end of your first year. On an ongoing basis, however, the Journey® Student Rewards from Capital One® card could be a better fit with its consistent opportunity to earn up to 1.25 percent back. Neither card charges an annual fee or foreign transaction fees. While organized fans of a cash-back rewards program might understandably opt for the Discover it® Student Cash Back card, you will find the Citi ThankYou® Preferred Card for College Students has an attractive "points based" rewards program that rewards you with ThankYou® points that are transferable to a number of airline loyalty programs as well as being redeemable for travel rewards, cash back and more. As part of its introductory offer, new Citi ThankYou® Preferred Card for College Students cardholders earn a 2,500 ThankYou®- point bonus after making $500 in qualifying purchases in the first three months you have the card (Citi is a CardRatings advertiser). You also get two points for every $1 spent on dining and entertainment and one point for each $1 on all other purchases. Your points never expire as long as your account is open. Both cards have a $0 annual fee and neither charges foreign transaction fees. Discover it® Student Cash Back offers an introductory rate of 0 percent APR on purchases for six months, while the Citi ThankYou® Preferred Card for College Students offers 0 percent APR on purchases for seven months (then, 16.49% - 26.49%* Variable). Discover it® Student Cash Back is almost a "must-have" for the wallet of any financially responsible college student. The combination of ongoing cash-back rewards, "Good Grades Reward" statement credit bonus opportunity and an end-of-the-first-year cash back matching bonus can put several hundred dollars into your pocket. This is also a strong card for a young person looking to build their credit rating. The card offers credit management tools such as monthly credit score updates on your statements and fraud monitoring, to help you avoid pitfalls.